28 years, 8 months, 13 days old age. Kane Williamson will turn 29 on 08 August, 2019. Only 3 months, 17 days, 17 minutes has left for his next birthday. Kane Williamson has celebrated the total number of 28 birthdays till date. See the analysis by days count and bar graph. 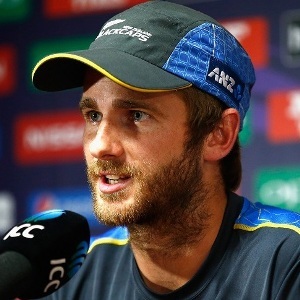 Kane Williamson was born on 08-08-1990 in Tauranga, Bay of Plenty, New Zealand. He is a New Zealand Cricket Player. Kane Williamson has been one of the brightest prospects for New Zealand, in recent times. Williamson came through the ranks after some impressive performances at the Under-19 level for New Zealand. He also led the Under-19 team in the 2007 World Cup. Selectors recognised his burgeoning potential and Williamon made both his ODI and Test debuts against India in 2010. He took a bit of time to settle into the ODI format and scored his first hundred against Bangladesh, in his fifth match and became a regular member of the team after that fine innings. He was also included in the team for the 2011 World Cup in the subcontinent. Initially, he shone brightly in Tests. In his very first Test itself against India, he made a brilliant hundred and followed it up with a fluent fifty in the next match. Williamson was only the eighth Kiwi to make a century on Test debut. Williamson had a great Test series in West Indies, scoring two hundreds and a fifty in the three-match series. In the Test series against Pakistan in UAE, he composed a marvellous 192 in the third and the final match in Sharjah. Williamson also led New Zealand in the subsequent ODI series as the selectors decided to rest regular captain, Brendon McCullum. He had a good time with the bat, scoring two fifties and a sparkling ton in the fifth ODI played in Abu Dhabi. New Zealand emerged victorious by winning the series 3-2. He continued to have a great time with the bat and registered his maiden double-hundred in Wellington in the second innings of the second Test match against Sri Lanka. The visitors couldn't stop him from touching peaks in the ODI series either, as he was in fabulous touch. An inexperienced opposition in Zimbabwe allowed Williamson a breezy start to his Test captaincy but a setback wasn't far away when later on during their African tour, South Africa demolished New Zealand at Centurion to take the series 1-0. His reign has only started. Lots to learn. In India, Williamson's side found it really tough but once they returned home, convincing wins against Pakistan and Bangladesh helped Kane to regroup the team and get it back on track.